DiscountMags.com Magazine Bundle Sale Starting at $20! You are here: Home / Great Deals / DiscountMags.com Magazine Bundle Sale Starting at $20! 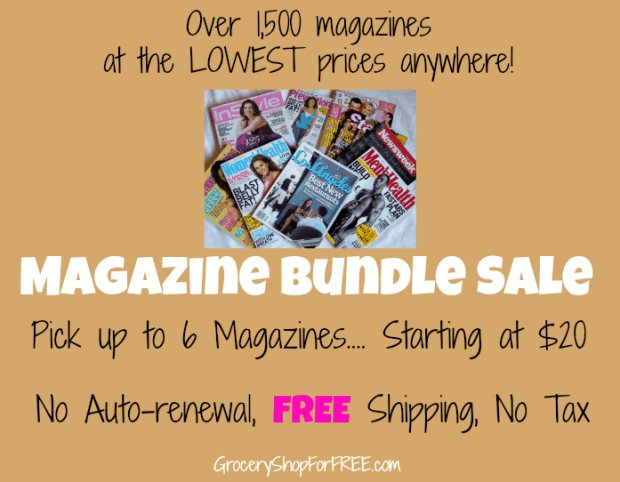 This a great way to get your favorite magazines at a great price! The Magazine Bundle Sale is as low as $20 for up to 6 Magazines! Just use coupon code GroceryShopFREE at checkout for the discounted price. This deal ends 2/22 at 11:59PM EST so grab it now!